being MVP: Shupeas & Giveaway! Children grow like weeds...well usually (not Kenzie). Mason definitely is the opposite in that he is a healthy, chunky meatball at almost 4 months of age. Time is flying by so quickly! Quality shoes are important for the development of little feet and soft sole shoes are recommended by experts. Shupeas is the most versatile baby shoes I have seen. Mason was sent the Cream Puppy Mocassins. These are the softest baby shoes I have ever felt. They are made of 100% leather with slip resistant, flexible suede soles. 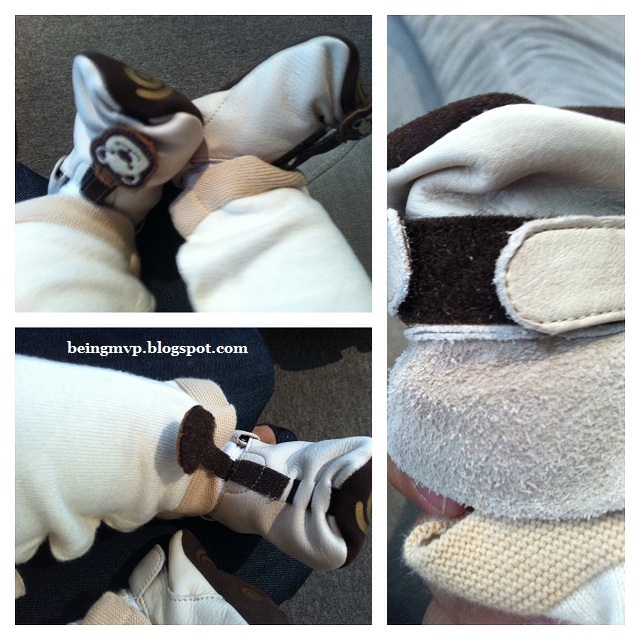 The design is amazing as these moccasins will fit baby feet with a range of 0-24 months! The steps are as follows: lift rear flap and release velcro straps, open wide for easy entry and insert foot, adjust velcro straps around ankles for a secure fit, lift medallion and then pull forward to adjust to correct size. Mason surprisingly stayed still while I was adjusting his Shupeas. These are so easy to fit and comfortable to wear with the padded insole. I can't wait for Mason to start learning how to walk in these. 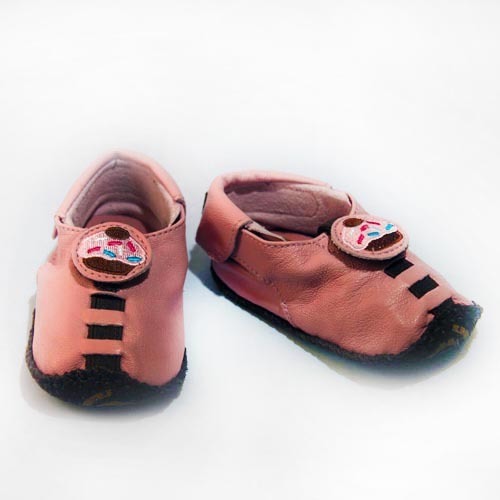 Even though these shoes are made to fit baby feet from 0-24 months, they do not look glaringly large when worn on smaller feet. They actually look like they are Mason's exact size. The innovative design really was well thought out to maximize the utility of these shoes. Buy It: You can purchase the Creme Puppy Moccasins for $32. Make sure to connect with Shupeas on Facebook and Twitter! One Winner will Receive Choice of Shupeas! 1.) Visit Shupeas and and tell me which pair you would choose. I love the Blue Rockets! I would choose the Blue Rocket shoes! I follow you via Google +! I like Shupeas on Facebook! I follow Shupeas on Twitter (@melissastamps). I clicked g+1 on this post! I like the Blue Baseball Mocassins. I follow babypyo on twitter & I tweeted about this giveaway. I follow as "Kristi Cartwright"
These are so cute! I would get my granddaughter the Soft Pink Cupcake Mocassin. I love the brown football boys shoes! I love the black skull ones, super cute. I'd choose the Red Cherry. I like the Dark Pink Swirly Cupcake pair. I would get the Red Cherry ones! I Follow me on Google Friend Connect. I Follow Being MVP on Facebook. I Follow babypyo on Twitter. i would get the blue rockets for my son!! too cute! thanks! I think I would choose the soft pink flower ones! i like you on Facebook. My facebook name is Hannah Avery. I like Being MVP on Facebook. I like the black soccer ones. I would pick the Brown Football Mocassin! I am a Google+ Follower. I Like Shupeas on Facebook. I Follow Shupeas on Twitter. I would choose the Dark Pink Swirly Cupcake design. I follow Shupeas on Facebook under the username likwan. I follow Shupeas on Twitter under the username likwan. I follow you on Twitter and tweeted the requested message at https://twitter.com/likwan/status/283794840431521792. I clicked the Google+ button under the name Lily Kwan.